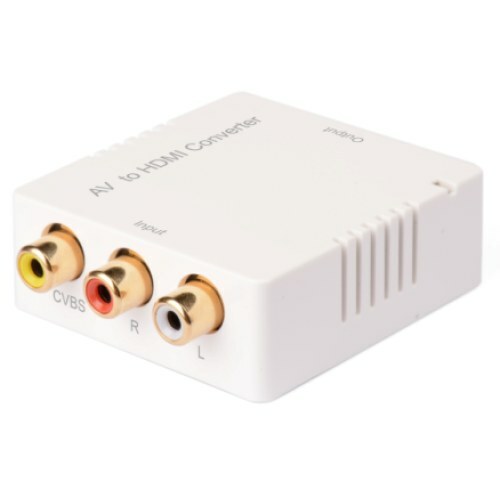 This AV to HDMI converter is designed to make your AV equipment more comfortable, more productive and less expensive. high-definition image on TV.It improves the interlaced video signal into 720P/1080P progressive signal. Video signal can be up to HDTV 1080p. Ensure the synchronization of AUDIO and VIDEO. HDMI output: 720p/1080P@50Hz , 720p/1080P@60Hz. Video output system: NTSC 3.58 / PAL (automatic). 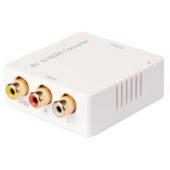 Compatible with DVI by using HDMI-DVI adapter.